G9+EC, equipped with FuG202. 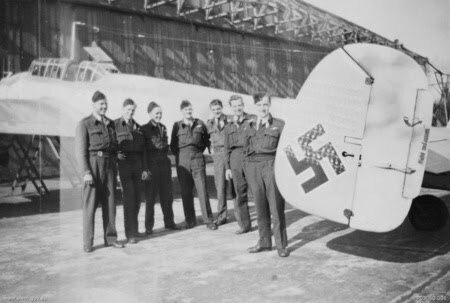 He flew this machine through April and May 1943. • twin machine gun MG81Z? for the radio operator, G-4 type canopy and no "Schräge Musik"
An RLM report of 16 June 1944 indicated Schnaufer's dislike of the MK108, and that he was using only MG 151/20s for his forward armament at that time. Schnaufer would have had the new FuG 220 radar array, with a single FuG 202 antenna in the centre during early 1944. After the RAF began jamming the FuG 202 frequency in July 1943, Schnaufer would have been among the first to receive the new radar which was immune to RAF jamming.